Cancun, the northern anchor of Mexico’s Riviera Maya, has long been a favored destination for those seeking a suntan and a hangover. 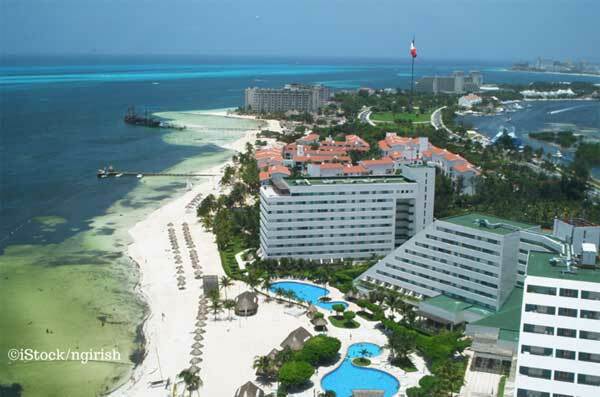 In fact, with over 5 million visitors each year, Cancun is the most popular vacation destination in the Caribbean. Combined with the growing communities of Puerto Morelos, Playa del Carmen, Akumal, and Tulum to the south, the Riviera Maya may well be a top competitor for the best vacation destination on the planet. With dozens of sprawling, all-inclusive resorts standing watch over miles of sparkling sugar-sand beaches, swaying palms and the warm, turquoise water of the Caribbean Sea, along with a vibrant night life, Cancun could easily define the ideal tropical retreat. With temperatures anchored in the mid-80s F for most of the year (some summer days breach 90 F), and plentiful sunshine, a casual lifestyle and amazing food, what’s not to like? Cancun is served by a modern, bustling international airport. It’s location on the Yucatan Peninsula offers flights back to the States in less than two hours. And for those hesitating to make a move south of the border, Cancun eases you into the expat life as English is a common second language, thanks to the active tourist trade. Cancun also offers over 750 restaurants, plentiful shopping outlets, seven hospitals providing excellent and economical care, and a vibe that alternates between relaxation and party time. It’s no surprise that Cancun has also collected a fair number of expats who claim Cancun as their adopted home. If your vision of retirement is a small, walkable village where you’re awakened by the sounds of roosters crowing and dogs barking…a place where bicycles and pushcarts out-number cars and trucks, Cancun is not where you want to retire. 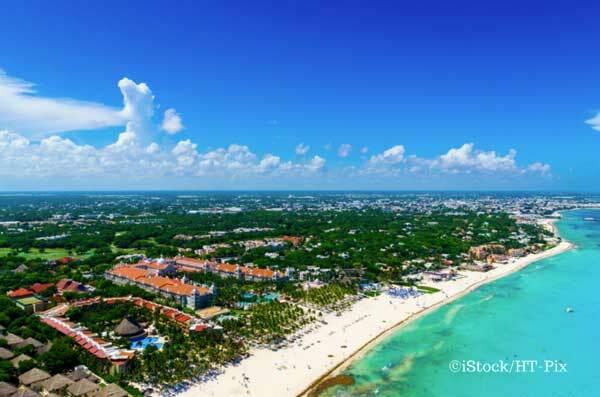 With approximately 1 millon residents and a mega-fleet of taxis and buses flooding the streets, Cancun is a large city with all the conveniences, as well as a few inconveniences, like traffic. Hospitals offer first-class medical care at reasonable prices and expat residents can qualify for Mexico’s health insurance plan called Seguro Popular. Nearly all medications can be purchased directly from the pharmacy without a prescription (narcotics and strong antibiotics are obvious exceptions) and cost only a fraction of prices north of the border. Living in Cancun is “almost” a First World experience. With the large network of buses and taxis, one can easily live in the city without owning a car. Power outtages are rare and internet is fast, stable, and inexpensive, the roads are paved and crime is generally low. Shopping is a pleasure with a mixture of small, family-owned shops, open markets, and modern glitzy shopping malls that compare to any, north of the border. And you’ll find Sam’s Club, Costco, and Walmart for those who enjoy those outlets. The expat community connects through several Facebook groups and hosts weekly get-togethers at various bars around town. Cancun is a city of contrasts. Along the plush Hotel Zone with it’s sprawling all-inclusive resorts, you will also find a couple of ancient Maya ruins tucked in between towering glass and concrete. The Maya influence is seen throughout the area with these tiny indigenous, hard working, and humble people employed in all areas of the city. Forget about a “rocking chair” retirement in Cancun. With the world’s second-largest reef system just offshore, and running south, into and beyond Belize, water-based recreational opportunities are boundless. Fishing, diving, boating, snorkeling, swimming, and even surfing and wakeboarding are all available. Or, you can simply park yourself on a warm patch of sand with a cooler of cold drinks and enjoy the feel of sand between your toes. There isn’t a wrong way to enjoy the Caribbean experience and Cancun offers every option. Cancun was intentionally built back in the 70s when it was only a small village sitting on a narrow strip of mangroves, infested by crocodiles. But what it did have was stunning, white-sand beaches and warm Caribbean water. Now, it is internationally known, catering to tourists from across the globe, many from the U.S. and Canada. With such a heavy influx of American tourists, the city displays many signs in English and Spanish and a few in Mayan. But drive a few miles into the state of Yucatan, away from the tourist areas and you’ll quickly discover Mexico, the real Mexico where English is a foreign language and you best speak Spanish to make yourself understood. The ability to live in total comfort, with electricity and high-speed internet, supermarkets, and car washes while also having the ability to hit the road and see a bit of Mexico is a bonus. In general, Mexico offers a significantly reduced cost of living when compared to the U.S., and Cancun falls in line with that expectation. However, when comparing the cost of living in Cancun to places north of the border, it’s tough. It’s tough because Cancun is a modern city on the Caribbean Sea and that profile is not available anywhere in the U.S. Any comparison will be an apples to oranges thing. That said, a life in Cancun is affordable and provides excellent value for the money. The one area where you won’t find silly-cheap costs are in housing. And even then, housing expenses with beach frontage or an ocean view are very reasonable. 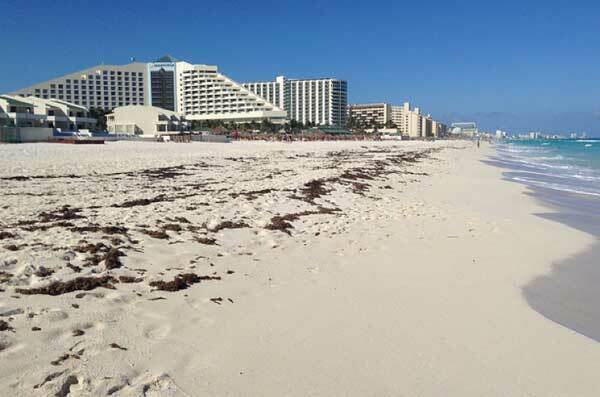 You should expect to pay above average rent in Cancun in relation to other areas of Mexico. To buy a 1,200-square-foot home, you’ll spend about $125,000 and rent for a two-bedroom apartment will run about $1,200 to $1,800 a month. Homes and condos near the beach can run 30% to 50% more. Electricity bills are delivered every other month and two month’s of service is generally less than $60. My high-speed, fiber optic internet comes bundled with our local telephone service (which we never use) and we pay a fixed rate of $21. A local beer will cost about $2, and an inexpensive meal will set you back $4. A nice dinner for two in a mid-range restaurant will cost about $23.